Today I am writing to the rejected. To the ones scarred by the words of others. The ones who sit in silence way too often and feel lost in the shuffle. Those who look different from everyone else in the room. To the ones picked last. But even more importantly, God sees you. He understands your pain because he walked in your shoes, rejected by a world that had no valid accusation against him. The One sent to redeem the world was a man of sorrows, well-acquainted with grief. He was more than just rejected; he was despised. Oh precious forgotten one, if ever you’ve been understood, it’s by Him. I have no doubt that God has big plans for you. Because of the rejection you have so often felt, you are more keenly aware of those who walk down the same lonely path you do. Your eyes are well-trained to see the pain lying just underneath the surface of other people’s eyes. You are able to see those whom no one else seems to. Pay close attention to your ability to observe such things. How’s that for vindication? He was and is the biggest, most important, strongest and most essential element of our lives. The world may have cast him aside, but Jesus pursued and completed his God-given mission anyway. He fearlessly trusted His Father and kept his eyes on Him, changing the lives of everyone willing to look upon his face and accept his offer of eternal friendship. If he had allowed the world’s opinion of him to dictate his actions, his mission would have been squashed, thus rendering all of humanity hopeless forever. Likewise, it is important for us to remember that the world’s opinion of us bears no weight on our value. We are valuable because God made us with care (Psalm 139:13-14); He chose us (John 15:16); and He calls us Beloved (Col. 3:12). You are treasured. You are sought after. Your company is desired. You are valued, beautiful, and seen. You are rejoiced over with songs. If you have a hard time believing these truths apply to you, ask God to speak straight to your heart and make them real to you. I believe there’s nothing He wants more than for you to understand how vastly He loves you. The greater we understand His love, the less validation we need from those around us. The less validation we need from others, the more confident we become in being a light. The more of a light we are to the world, the less others have to feel alone. 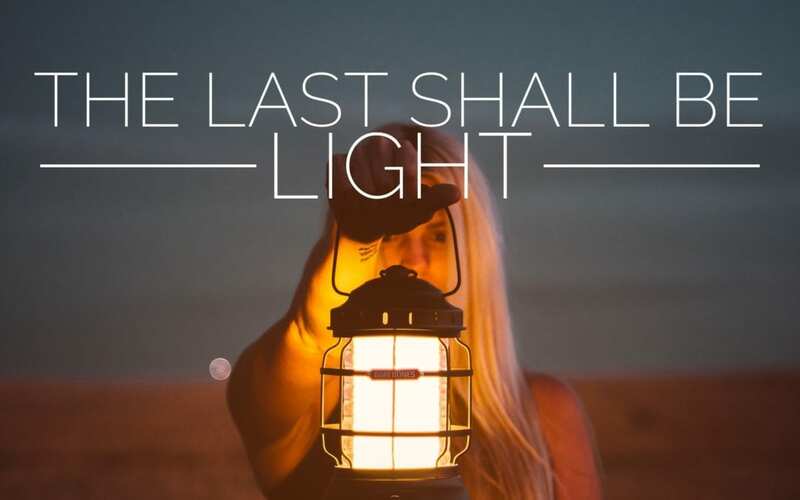 We, the rejected, can be the brightest beacons of light the world has ever seen if we allow God to heal the dark, unseen, and hurting places in our hearts with His redeeming grace. Through Him, we can love the unloved; we can see the unseen.